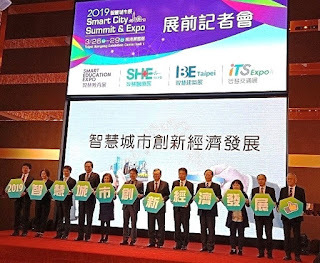 The Industrial Development Bureau (IDB) of the Ministry of Economic Affairs (MOEA) of Taiwan organized the 2019 World System Integrator Conference to be held before the opening of the 2019 Smart City Summit and Expo at Taipei Nangang Exhibition Center on March 25 (Monday), marked the first time for Taiwan to hold a conference on the theme of systems integration (SI). 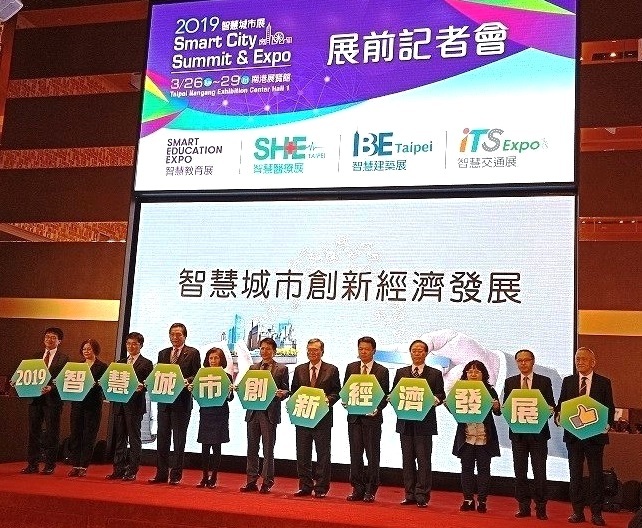 The strategic aim of the event is to, under the direction of the government, lead in international cooperation orders for high quality smart city systems integrators, which is intended to establish in Taiwan an international platform for connecting system integrators. The event gathered 300 participants from over 20 countries, including industry, government, academia, and research institutions and systems integrators, who attended the event to engage in exchange of experiences in smart city development. The conference held keynotes on specific topics: Stan Schneider, Vice Chair of Industrial Internet Consortium, spoke on the System Integration for Industrial IoT Systems with Use Case Examples. And system integrators, including MiTAC Information Technology Corp. and Advantech Co., Ltd., spoke on their experiences and actual cases. Specifically, MiTAC Information Technology Corp. shared its experiences in the development of smart city applications, as well as the successful case of implementing automatic customs clearance systems in Philippines. Looking to realize a worldwide consensus on systems integration and understand each country's perspective and needs for systems integration, the conference also invited representatives from Thailand, Malaysia, Vietnam, India, Indonesia, and Laos to a forum on the trends in the newest systems integration applications and smart city development.In the end, the main points of the conference centered on consensus on future collaboration: building collaborative mechanisms for multiple participants, industry exchange and matchmaking, and smart database research cooperation. The System Integration Promotion Alliance (SIPA), the agency responsible for planning the World System Integrator Conference, has received substantial results from the conference. Even more so, the SIPA vowed that the current conference is a starting point to intensifying the promotion of Taiwan as an international systems integration solution provider and establishing a diverse platform for collaboration. This will, in turn, bring Taiwan's quality smart city solutions and systems integrators to the international market and earn international cooperation orders.